Hi, my name is Navlean and this term we have been learning about Making a Difference to animals lives. 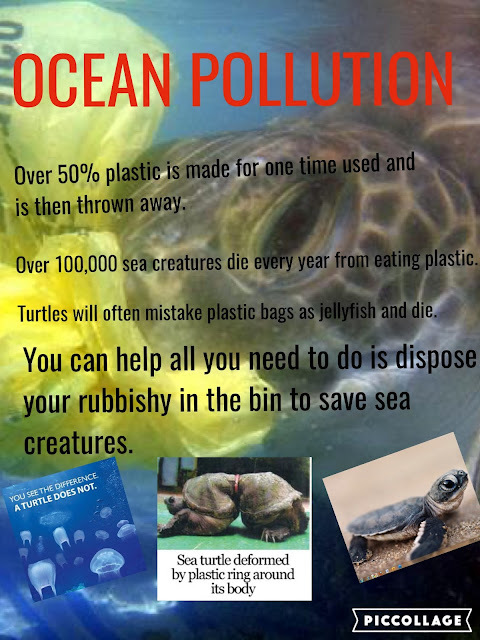 Here is a poster that I made on Pic Collage about pollution in the Ocean. Please take a look and see what you can do to make a difference! Save the Animals: How to look after your pets. Stop Throwing Plastic Bags in the Ocean!